David Benton Taylor, age 69, of Arcadia, IN passed away November 21, 2018 surrounded by family as he made his entrance into Heaven. He was born November 14, 1949 at Warsaw, IN to Kenneth Raymond and LLewellyn Roberta (McGuire) Taylor. His parents preceded him in death. He was a graduate of Noblesville High School with the Class of 1969. 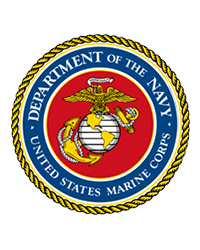 He then honorably served his country in the United States Marine Corp. He was fondly known at Riverview Hospital where he was maintenance supervisor for over 24 years. He was an active member of Arcadia Christian Church, the Noblesville Jaycees and the EAA (Experimental Aircraft Association) Local Chapter 67. He enjoyed working in his shop and camping with his family and friends. He loved family gatherings, and his family including nieces and nephews loved him. He married Wanda Lee (Mundy) Taylor on July 20, 1969 and she survives him. Also surviving is a son: Matt (Jennifer) Taylor of Sheridan, IN, a daughter: Kim Phifer of Atlanta, IN, brothers: Joseph Taylor and Lynn (Anita) Taylor both of Noblesville, IN, sisters; Pamela Taylor and Nicole (Les) McKinsey both of Noblesville, IN, plus grandchildren: Ethan and Gabriel Phifer and Adam Shepard. Funeral services will be held Tuesday, November 27, 2018 at 11:00 A.M. at Hartley Funeral Homes Cicero Chapel, 209 West Jackson Street, Cicero, IN 46034, with Pastor J.R. Moffatt officiating. Burial will follow at Crownland Cemetery at Noblesville, IN. Visitation will be from 4:00 until 7:00 P.M. Monday. Memorial contributions may be made to Angels Attic or the Wounded Warriors Organization. Donation envelopes will be available at the Funeral Home. You may send condolences at http://www.hartleyfuneralhomes.com.